As Mercury Records’ new head of east coast A&R, Clyde Otis lost no time signing his demo singer and occasional co-writer, Brook Benton. During the first session Benton and Otis recorded a song they’d worked up, It's Just A Matter Of Time. They’d written the song for Nat ‘King’ Cole, but Otis explained to Cole that he’d just landed the Mercury gig, and really wanted the song for Benton. The lyrics reflected Benton's frustration at his inability to score a hit as a singer. 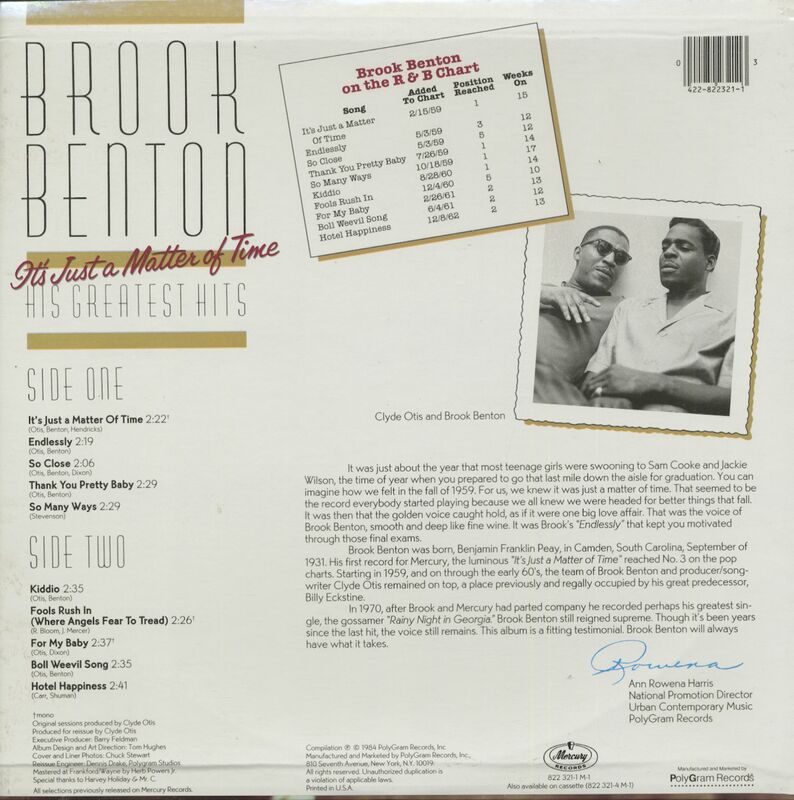 When confronted with his co-writer's frustration Otis would say, "It's just a matter of time, Brook." Otis ensured that it would appeal to the broadest cross-section of the market by employing a full string section. However, there was a political dimension to the strings that went beyond merely broadening the base of appeal. "Historically," asserted Otis, "black artists wanted to record with strings because it had been something that had been denied them. The strings symbolized legitimacy. There weren't even any black string players working in the studios. When we organized Brook's first date I asked my contractor if there were any black string players. He said, 'Yes. They're working in Broadway shows and other pick-up jobs.' I said, 'Why don't they play record dates?' He said, 'Nobody calls them.' I said, 'If they're good, I want to see them on my sessions.'" 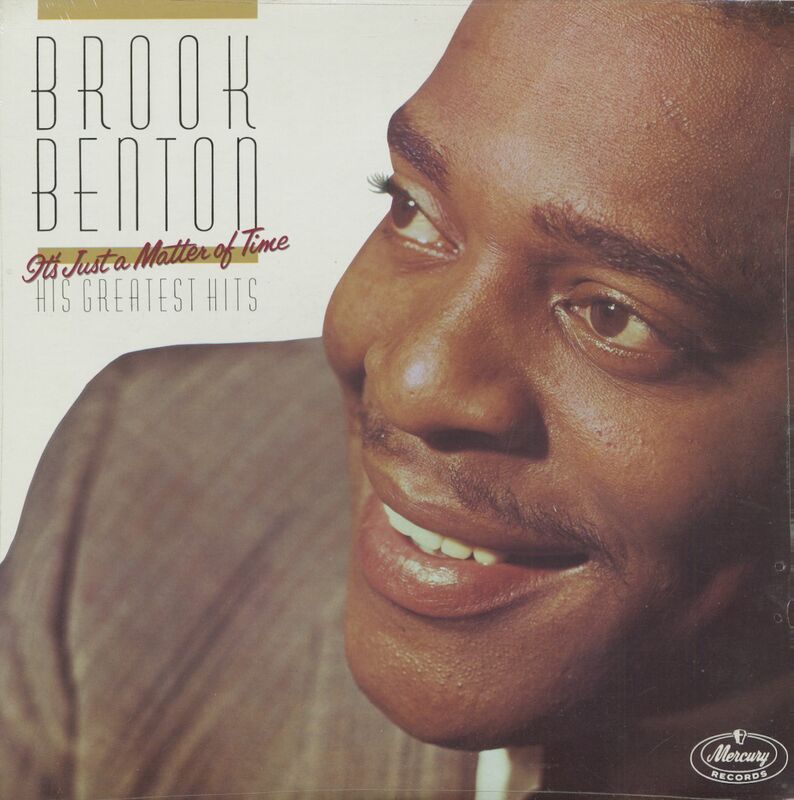 Benton's intimate and crisply miked vocals looked back toward the relaxed ballad style of Arthur Prysock and Billy Eckstine and forward to the passion of soul music. One of the selling points was Benton’s low notes. He was singing deeper and with more feeling than on any of his previous recordings for other labels. The low notes were a legacy from an early R&B giant, Percy Mayfield. Benton had first used them on his demo of The Stroll. After his vocal arrangement had been successfully co-opted by the Diamonds, Benton resolved to use the low notes on his own recordings and perfected his technique. Otis also ensured that Brook rehearsed his vocal part for days before a session so that many of the nuances could be honed to perfection. “The people at Mercury said it was too quiet,” said Otis. “Said it didn’t rock and roll enough. So I took it to a dee-jay, Doctor Jive, asked him to play it. He called back and said the switchboard had lit up. 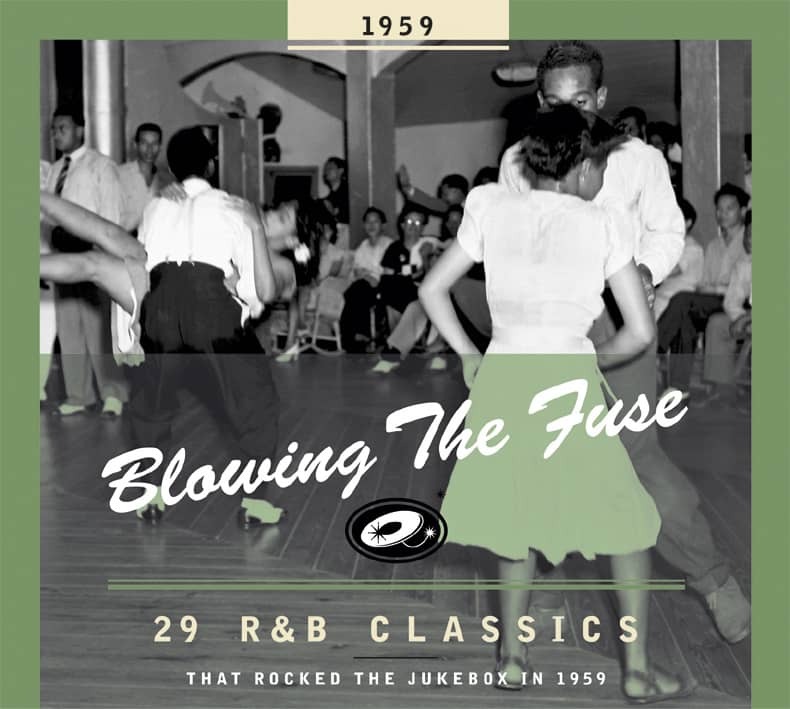 The people at Mercury checked it out and found it was true.” In January 1959, It's Just A Matter Of Time entered the charts, topping the R&B listings and peaking at #3 on the pop charts. Both Benton and Otis had been vindicated in the strongest possible terms. Customer evaluation for "It's Just A Matter Of Time - His Greatest Hits (LP)"